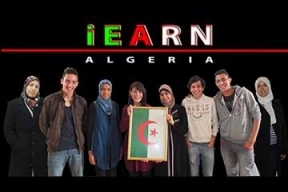 iEARN works with a limited number of schools and youth organizations, in Algiers and Guerrara. They are active in Arabic and French-language projects. 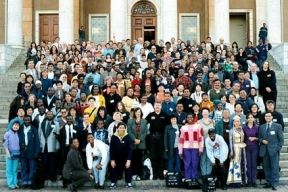 iEARN works with the Ministry of Education to involve students and teachers in Botswana in global networking projects. They are leaders in health education projects, as well as in cross-cultural, environmental and literary projects. iEARN works with a small number of schools in the Douala and Yaounde areas. iEARN-Cameroon is a registered NGO. They are involved in French-language and environmental projects. iEARN works with a limited number of schools, in Abidjan. They are active in French-language projects. 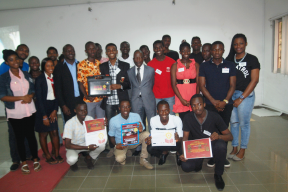 iEARN-Congo works with the Initiatives Jeunes in Kinshasa-Limete to enable young people in the Congo to interact worldwide. They are active in French-language projects. iEARN Egypt is an officially registered NGO under the name of "Egyptian Educational Resources Association (E-Era)". We serve almost 85 public and experimental schools in all over Egypt. Our partners include the Ministry of Education in Egypt, RITSEC, Integrated Care Society, and many others. iEARN works with the Ministry of Education in Gambia to involve teachers in about 20 schools in collaborative project work. Schools are both in the Banjul area as well as in other cities. 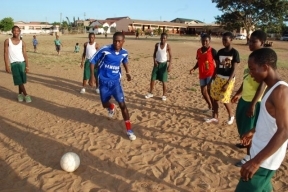 Community youth programs are also active in iEARN project work. iEARN is part of SchoolNet Ghana and is expanding educational networking and professional development in most parts of the country. iEARN-Ghana involves a total of 250 schools in Accra, Kumasi, Cape Coast, Tema and other areas. iEARN works with schools in Kenya, collaborates with the Ministry of Education and other NGOs to link up students in schools, youth organizations and through local community centers. iEARN-Liberia is a registered NGO and is working with the Ministry of Youth and Sport through the Federation of Liberia youth (FLY) in developing sustainable empowerment skills training for underprivileged youth in Liberia. Education Resource) and the African Teachers Network to expand global project-based learning in Mali. 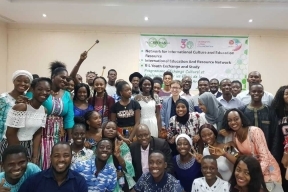 iEARN-Mali coordinates the YES (Youth Exchange and Study) program, recruiting and selecting high school students to spend a year in the USA. 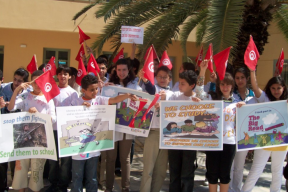 iEARN-Morocco is a registered NGO and is working with a network of schools throughout the country. Project work is in Arabic, French and English. iEARN-Nigeria is leading a national drive for training trainers, professional development of teachers/ educators and curriculum development (for ICTs in secondary education) thus preparing the country for true education in the 21st century. iEARN in Senegal is managed by a team of educators, who work closely with the Ministry of Education and other partners. 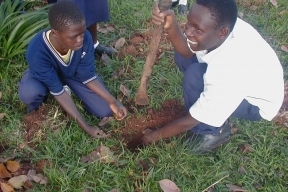 Approximately 20 schools are active participants, working in environmental and other projects. iEARN-Sierra Leone is a registered NGO that works with schools and other NGOs to provide ICT access and training, as well as skills in music and video production, to young people in Freetown and provincial cities. iEARN partners with SchoolNet South Africa, which was formed from the regional networks active in the country since 1995.
iEARN-Uganda is part of SchoolNet Uganda. A total of over 40 schools and youth organizations in Kampala and other areas are actively involved in iEARN projects, including the Adobe Youth Voices program. School linkage expansion in Uganda has involved piloting wireless technologies in rural areas. iEARN in Zambia was initiated by the Rescue Mission organization based in Lusaka and now involves schools in the capital. iEARN worked with the WorLD Program in Zimbabwe to involve a group of 60 schools in global project work. Most schools are clustered around community Tele-Centers.